Dr. Bill Webster is the Executive Director of theCenter for the Grief Journey Inc: a center dedicated to assisting and supporting people in a grieving process after a significant loss and to provide meaningful resources. Dr. Bill Webster is a Funeral Home accredited speaker at education conventions with over 25 years experience leading seminars and delivering programmes. 1) Why would a Funeral Home education convention seek you out as a speaker? 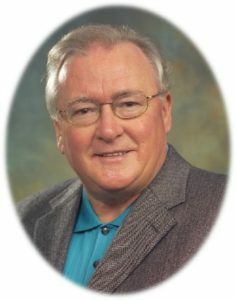 Dr Bill Webster has been an acclaimed international speaker and seminar leader for over 25 years, facilitating programmes in Canada, in the United States and in the UK, where he has been instrumental in introducing his “Grief Journey Support System” to numerous funeral homes around the country. Dr Bill is a grief counsellor who has been awarded the Fellow in Thanatology from ADEC; the author of numerous books on the grief process; and has a state of the art interactive web site which is offered as a “portal” to funeral directors who want to offer a comprehensive grief support programme to their communities on their own web site. 2) What types of things do you speak about specifically? Dr. Bill offers many seminars, both for the professional caregiver, human resources, hospital and hospital workers, funeral directors, tailoring his presentations to give helpful information to people who work with and support grieving people in many situations of loss. He does training programmes for Victim Services; offers a “Facilitator’s Training Programme” for those wishing to implement local community grief support programmes, and has spoken at many hospitals, schools, hospices, and funeral homes on both sides of the Atlantic. Dr Bill’s seminars not only focus on CONTENT but also on PROCESS, which is HOW we communicate the information that needs to be imparted. He is acknowledged as a dynamic speaker, who combines personal experience with practical theory, together with his sense of humor to effectively communicate his message. 3) What do participants from these conventions typically want to know about "grief psychology"? 4) What types of problems are you helping participants address? 5) What types of solutions are you providing to Funeral Homes? Dr. Bill Webster offers the funeral home a comprehensive programme of grief support, through his books, his videos, his interactive web portal, and his seminars, whether geared for the caregiving professional, funeral home staff, or for grieving people themselves. When funeral homes are able to have themselves identified as the caring resource in any community, this greatly enhances their reputation and their business among the people they want to reach.